Sioux Falls is about to have a bunch of Minnesotans visiting this weekend. The NCAA on Sunday announced the 16-team field for its men’s hockey tournament, and all three Minnesota teams that made – St. 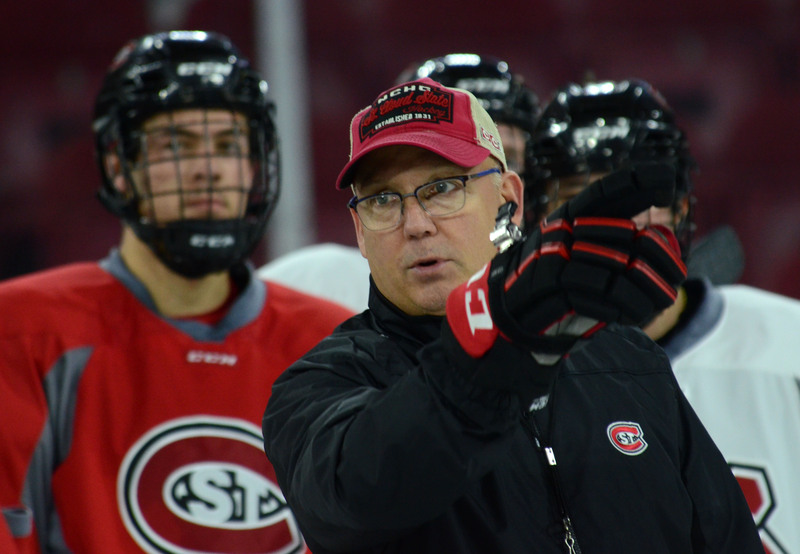 Cloud State, Minnesota State Mankato and Minnesota Duluth – were assigned to the West Region at the Sanford Premier Center in Sioux Falls on Friday and Saturday. St. Cloud State, the No. 1 overall seed, will play No. 16 Air Force at 3 p.m. Friday (ESPNU). MSU Mankato, the No. 6 overall seed, will face No. 12 Minnesota Duluth at 6:30 p.m. (ESPN3 web stream). The West Regional final is 8 p.m. Saturday on ESPN2. The only non-Minnesota team in the West Regional – Air Force – has Minnesota roots, too. Falcons coach Frank Serratore is a Coleraine, Minn., native and a Bemidji State graduate. The Frozen Four is April 5 and 7 at Xcel Energy Center in St. Paul. The semifinal matchups have the West champion playing the Midwest champion, and the Northeast champion playing the East champion.